The 19-year-old dreams of a career as a vocalist on the big stage. But in Iran, where the sound of a solo female singing voice violates strict Islamic codes of conduct governing public life, stealing moments of freedom in private spaces and behind closed doors may be the closest she gets. “For a female vocalist in Iran, it is not just about [a woman singing in public] being illegal. The society doesn’t recognise you,” said Elahi. The social stigma attached to the public act of singing, being a woman, can be as insurmountable an obstacle as the country’s Islamic laws, she added. Despite her ambition, Elahi and her four bandmates acknowledge that American jazz does not fit the public image in Iran, and realising their musical dreams may mean leaving home. They were all born two generations after the 1979 revolution and the Islamic Republic is the only Iran they’ve ever known. According to a 2013 study by the United Nations and the University of Tehran, a third of Iran’s population are aged between 15 and 29. But many young people like them often speak nostalgically of a more liberal time before the revolution, an Iran they’ve never experienced. But the sound of music from small corners of the capital is a reminder that despite the conservative public face of the Islamic Republic of Iran – 40 years after the 1979 revolution – a diversity of perspectives still manages to coexist in the country. 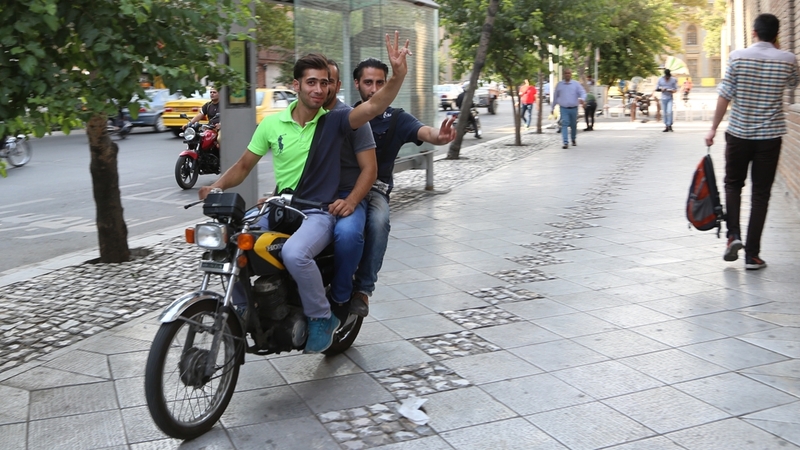 There is a segment of the Iranian population that says the clerical system of government is over-involved in matters of public life and personal freedoms. But there are also ardent supporters of the system that has promoted and enforced Islamic codes of public and private conduct in place for four decades. Hajar Chenarani is a member of parliament and was born in 1979, the first generation of Iranians born under the flag of a new republic. In many ways, she is a poster-child for the revolution: A devout Muslim having humble roots, highly educated, and her father died fighting in the Iraq war. She’s one of millions of Iranians who see the 1979 revolution as a kind of referendum that determined Iran be governed by Islamic ideals in perpetuity. 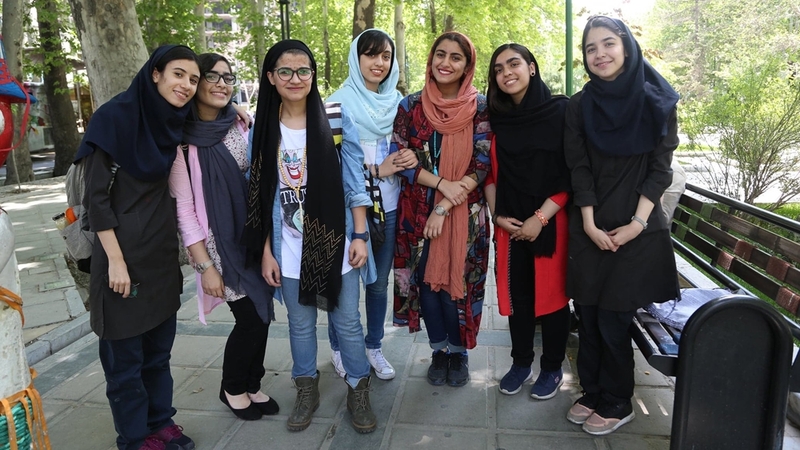 But Chenarani acknowledges Iran’s youth is restless and blames the government’s failure to address issues of youth unemployment, which has contributed to increasing brain drain. Many educated young people, who find themselves unemployed or underemployed, have been leaving the country. Iranian politicians often point to an urgent need to engage with young people to address the concerns of an entire generation. A culture of fear limits open dialogue about even the most benign issues. Criticism of government officials and policies is common, but only behind closed doors, for fear of government retaliation. In deeply religious parts of the country, like Qom and Mashhad, many young men and women remain stalwart supporters of the ideals of the Islamic Revolution. But in Tehran, where the success of Ayatollah Ruhollah Khomeini’s rebellion in 1979 was the catalyst for sweeping change across the country, younger generations seem to be drifting away from conservative religious and political sentiment. Young people born to the children of the revolution often refer to themselves as the “burned generation”. They say economic circumstances for them are so bleak, the hope for prosperity that came with Khomeini’s revolt is little more than historical record. For them, the revolution anniversary is a reminder of their tough financial times. “To be honest, it’s like a wound that you can never get rid of,” said Amir Hosseini, the guitarist in Elahi’s band.